Stuffed Paratha: some veggies or some spiced curried stuffed into flat roti and then again flatten it and cook it. 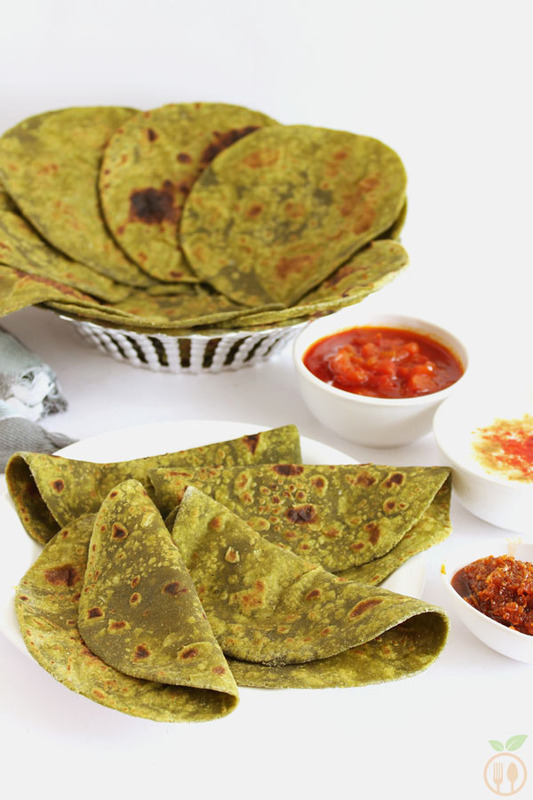 Plain Paratha: while making the dough, you are adding some spices or some grated vegetable and make paratha form it. I have shared one stuffed paratha named Cheesy green pea stuffed paratha which has boiled and spiced green pea stuffing into plain roti. 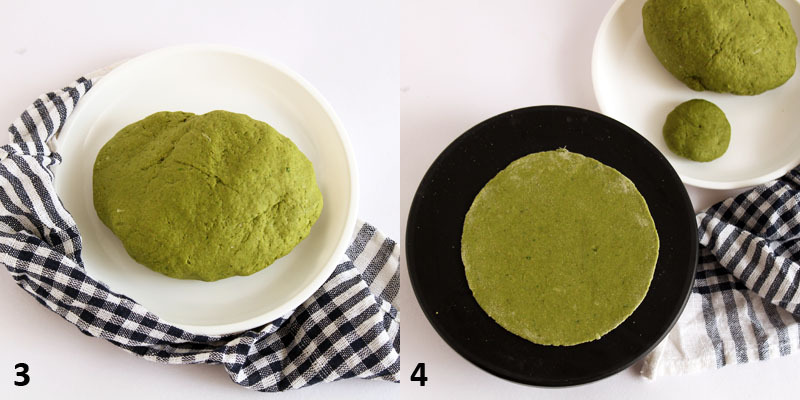 Here, I have made plain paratha with spinach puree. 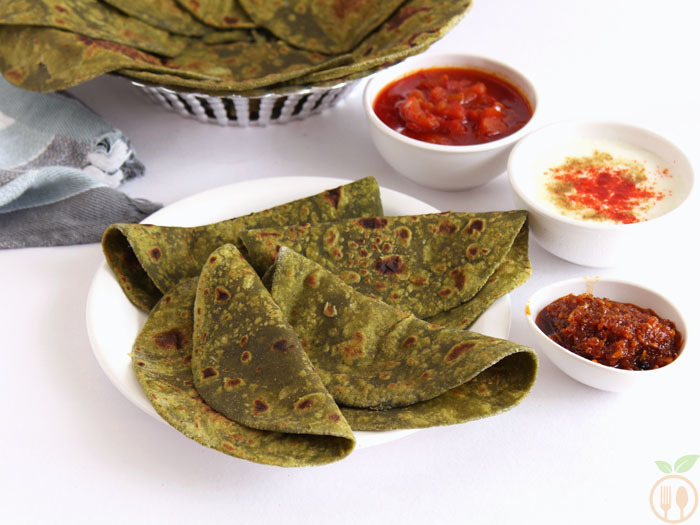 How to make Palak Paratha? Generally, we use water to prepare dough of paratha. But here I used plain water with spinach puree. And to balance the taste of spinach, I have added garlic and salt. Another important thing is I have used raw spinach puree. I did not blanched the spinach before making puree of it. If you want do that, then its ok, but while cooking the paratha into skillet, it also gonna cook. So, if you are going to use boiled spinach, it may lost its most of nutritional value while cooking it. And there is 1 more benefit to use raw spinach. 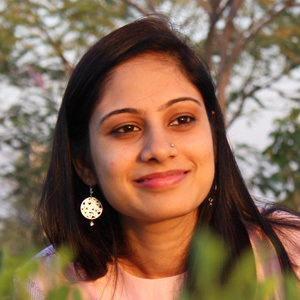 It preserves the green color and that makes it more attractive to kids. For shallow frying the paratha, first cook paratha on skillet at very low flame on both the sides. Then apply the oil one side, flip it and again apply oil into another side and let it cook on high flame, so that it gets some crispiness. I used to make this paratha as dinner; I more like it with some tangy tomato curry but it also taste good with pickle and curd. And I save some dough and store it into fridge for next morning breakfast with masala tea. This is also the best lunch-box recipe for kids. You can spread some tomato ketchup, roll it and packed as lunch box. Kids always return with empty lunch-box after school. Spinach and garlic are best combination with each other. But if you want to avoid garlic and only spinach puree tastes good. You can add some cumin seeds or cumin powder instead of garlic. Carom seeds also enhance the taste of it. But do not use both carom seeds and cumin seeds together. You can store the dough in refrigerator for 2 days in air-tight container. And whenever you want to eat them, cook it and serve warm parathas. Palak paratha itself can store in air-tight container for 1 day not more than that. 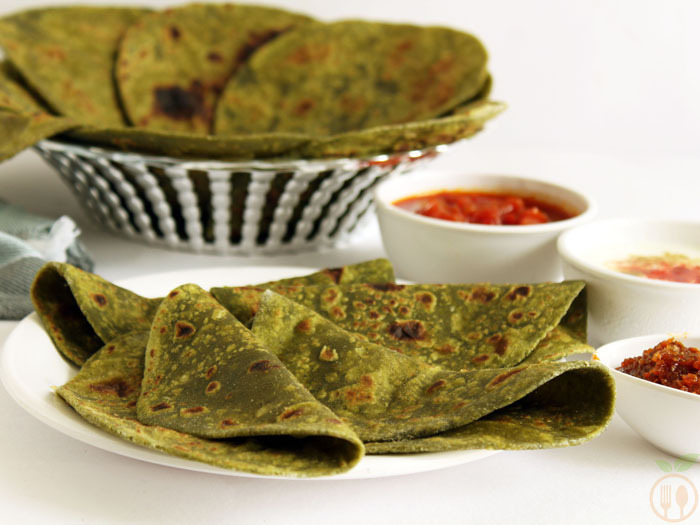 Palak Paratha OR Spinach Paratha - Indian flat bread (roti) prepared from whole wheat flour, spinach puree, garlic and salt. 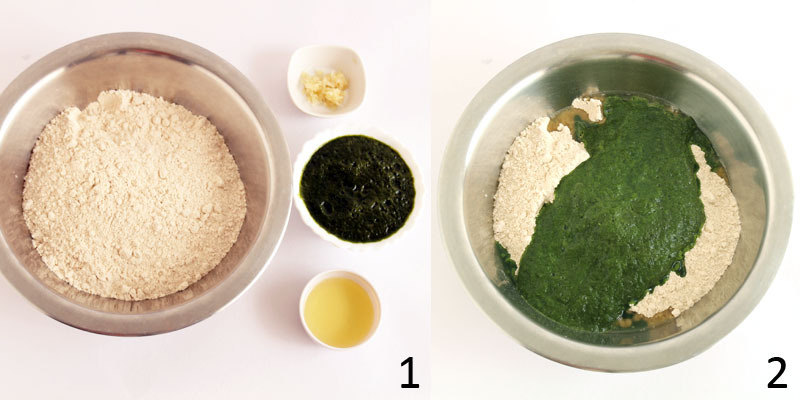 To make spinach puree, rinse the spinach leaves perfectly with the water and drain them. Cut into small pieces and take them into food processor and make fine puree of it. You can use half cup of water to grind it properly. To make dough, take flour into mixing bowl and add salt, oil and garlic and mix them well into flour. Then add spinach puree and try to firm smooth dough for it. If you need more water then use it. I required more half cup water to create the perfect dough. Take medium size of ball and roll out perfect flat bread or roti from it. 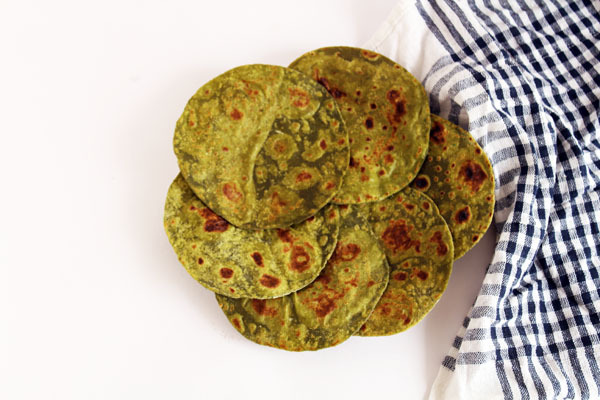 Make all palak paratha in the same ways. On hot skillet or flat tawa, half cook the paratha both the sides on low flame. Then apply half tbsp oil both the side on high flame. Paratha is ready to serve. 1) You can serve it with masala curd or dahi raita. 2) It also goes best as breakfast with tea. 3) My favorite complement with palak paratha is tomato curry and pickle.